Ricoh Imaging Unveils GR II Silver Edition Commemorating the 80th Anniversary of Ricoh Company, Ltd.
DENVER, Colo., February 15, 2016 – Ricoh Imaging Americas Corporation today announced the RICOH GR II Silver Edition to commemorate the 80th anniversary of the founding of Ricoh Company, Ltd. This exclusive package consists of a silver-color edition of the GR II premium digital compact camera (launched in July 2015) and an exclusively designed camera case. It will be marketed in a limited quantity of 3,200 units worldwide. The GR II is the smallest premium digital compact camera, offering digital single-lens reflex (DSLR) image quality with Wi-Fi and Near Field Communication (NFC) functionality. The GR 18.3mm F2.8 lens is a compact, high-performance GR lens with a focal length of 28mm (in the 35 mm format). It also boasts a large, APS-C-size CMOS image sensor with approximately 16.2 effective megapixels. Distinctive features compared to the standard GR II: The Silver Edition’s shutter release button and the ring cap have been finished in silver identical to that of the camera Additionally, the lens descriptions are engraved on the front ring using a diamond- cutting process and the GR logo’s color on the camera’s front panel has been changed to white. Even the product box has been specially designed for this package. Genuine leather camera case: The package includes a black, genuine-leather camera case exclusively designed for the GR II camera It provides features useful for quick- action snapshot photography, including a belt loop on the back, and a top cover that opens fully for easy removal of the camera body. ・ The camera’s specifications are identical to those of the standard GR II model. ・ The design and specifications are subject to change without notice. DENVER, December 9, 2015 – Ricoh Imaging Americas Corporation today announced the immediate availability of the highly anticipated PENTAX Tethered Capture Plug-In for use with Adobe® Lightroom®. The software plug-in enhances the tethered capture capabilities of the PENTAX 645Z medium-format camera by enabling files to easily be uploaded into Adobe Lightroom during a studio session, where they can readily be viewed, shared and edited. Adobe Lightroom is the digital photo processing and editing software favored by many professional and advanced amateur photographers, making the use of the new PENTAX Tethered Capture software both cost effective and efficient as there is no additional software package to purchase and learn. In addition, with the new capabilities of Lightroom Mobile, uploaded images may be viewed and adjusted by a photographer’s colleagues or clients from any remote location, anywhere in the world. The PENTAX 645Z camera supports industry-standard Adobe DNG (Digital Negative) RAW files, which ensures optimal image quality. The in-camera DNG file format effectively eliminates any RAW file incompatibility issues, thus allowing the photographer to confidently import DNG RAW files during a tethered session. Adobe Lightroom Creative Cloud users can use Lightroom Mobile to connect to tethered sessions via cloud services to comment and adjust photographs and return those edits to the photographer from anywhere in the world. Adobe Lightroom offers an exceptional cataloging system that allows photographers to capture and catalog tethered sessions with confidence. The PENTAX Tethered Capture Plug-in for Adobe Lightroom is an easy-to-install, powerful and streamlined tethering solution that allows any photographer to manage their own workflow from capture to output. Adobe Lightroom users can download and apply presets to any tethered capture session thus eliminating the need to process every raw file individually. 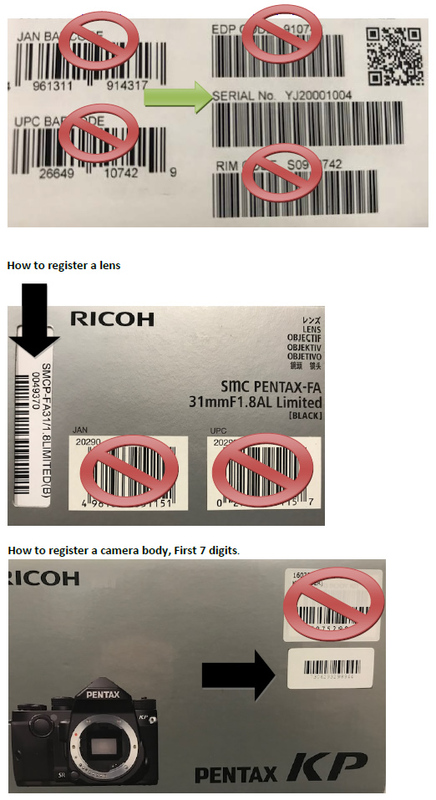 The company now known as Ricoh Imaging Americas Corporation was originally founded in 1919, under the name Asahi Optical Joint Stock Co. and launched its first SLR camera in the 1950s under the PENTAX name. Today, Ricoh Imaging Americas Corporation continues to produce the heritage-rich, award-winning line of PENTAX DSLR cameras, lenses and sport optics equipment as well as Ricoh’s offering of stylish and compact digital cameras, known for their wide-ranging, rich set of features. © 2015 Ricoh Imaging Americas Corporation. All rights reserved. All referenced product names are the trademarks of their respective companies. ♦ Note: Adobe® Photoshop® must be purchased separately in order to use the PENTAX Tethered Capture Plug-in for Adobe® Lightroom® application. ♦ Adobe, Photoshop and Lightroom are either registered trademarks or trademarks of Adobe Systems Incorporated in the United States and/or other countries.